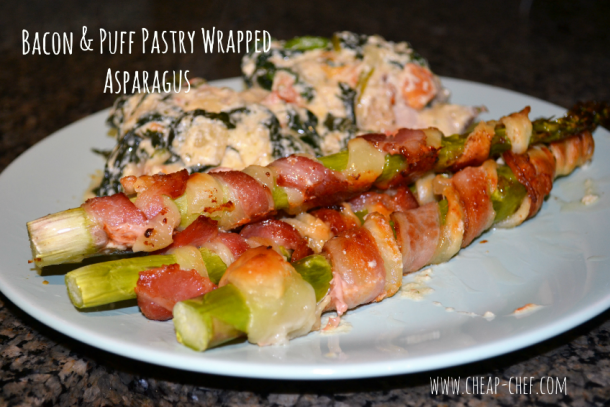 I served this bacon and puff pastry wrapped asparagus with my Creamy Tuscan Chicken Recipe. 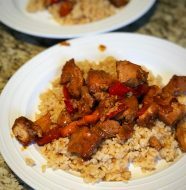 These two dishes were super easy to make but made it look like a LOT of effort went into it. Once again, credit goes to Tasty for the recipe/idea. 2. Slice the puff pastry into 1-centimeter strips. 3. 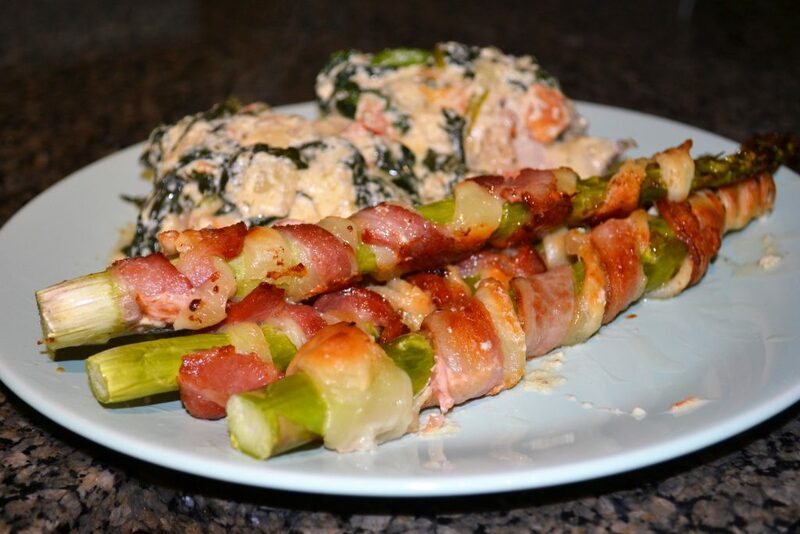 Slice the bacon in half lengthwise into thin strips. 4. 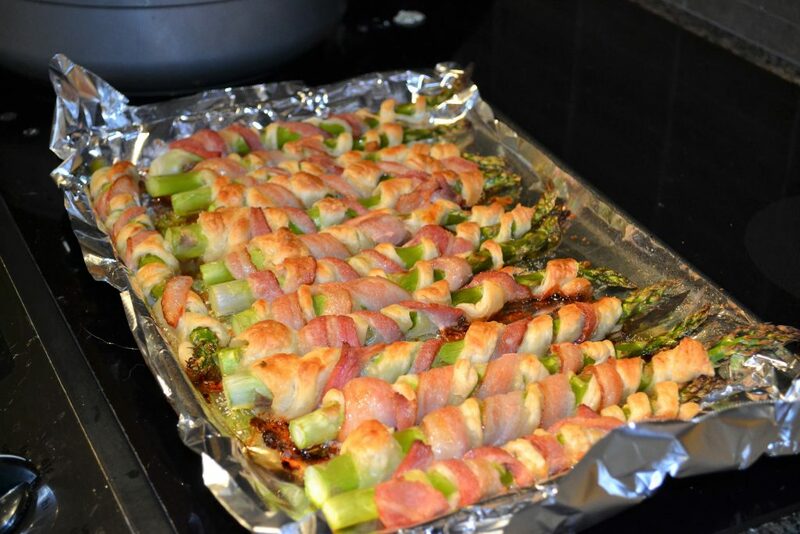 Wrap a strip of bacon around an asparagus spear in a spiral. 5. 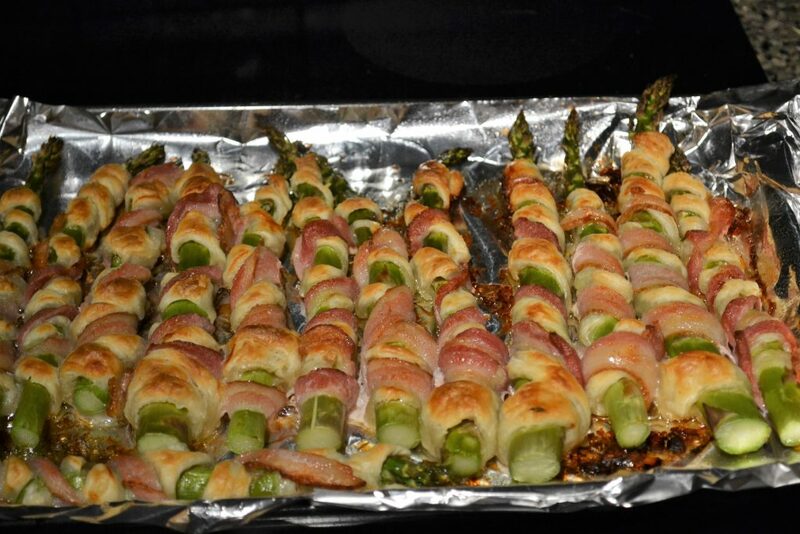 Wrap a strip of puff pastry around the asparagus, looping it in between the bacon spiral. 6. 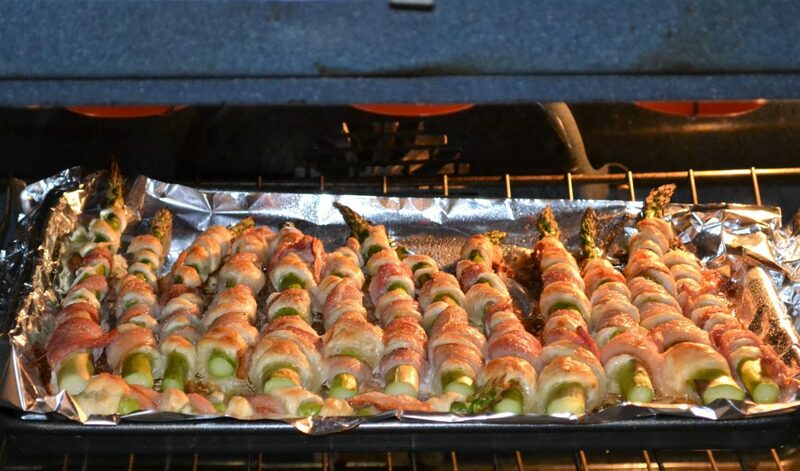 Repeat with the rest of the asparagus. 7. 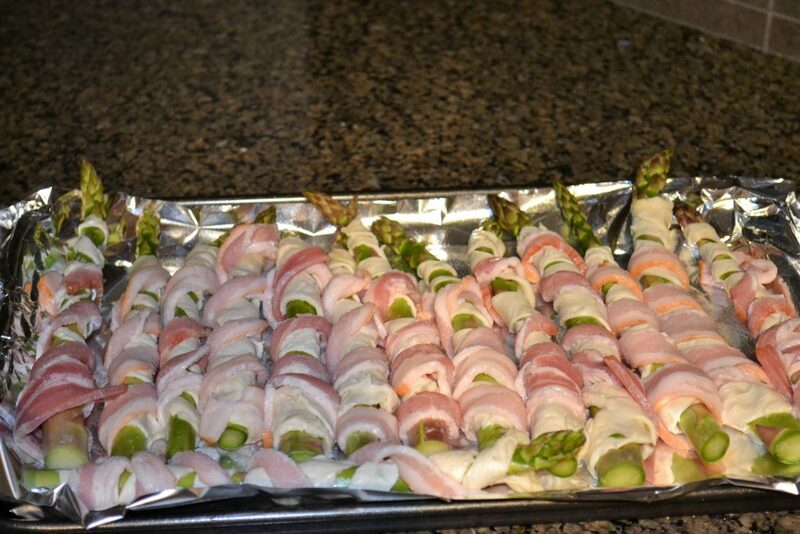 Place the wrapped spears on a baking tray lined with parchment paper. 8. Brush them with egg wash, then sprinkle a pinch of salt & pepper on top. 9. 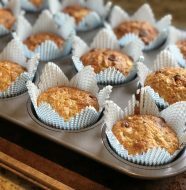 Bake for 18 minutes, until golden brown and puffed. Thank you so much for reading! 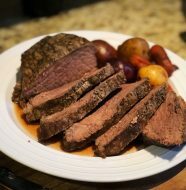 Please LIKE me on Facebook and don’t forget to share this recipe with your friends!